Possible LEED Platinum home. 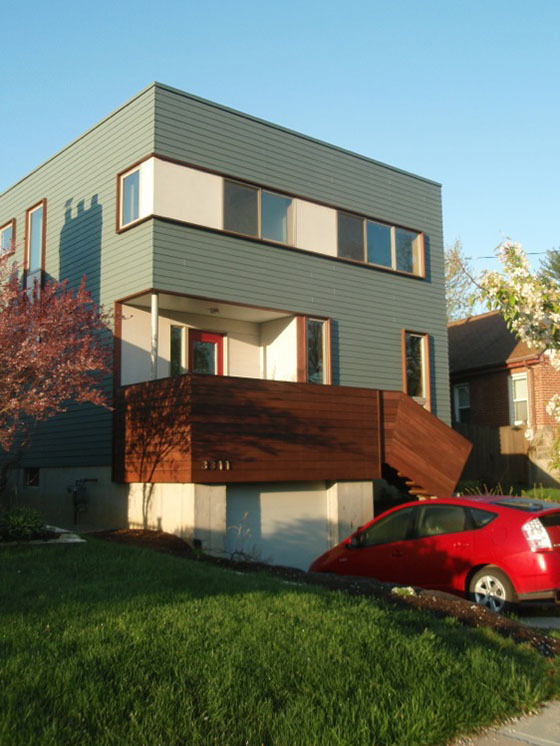 It's a compact house on a small infill site in a walkable neighborhood. The large glass openings are concentrated on the south side to take advantage of passive solar. The exterior walls are offset double stud with spray foam insulation to limit thermal bridging and provide an air tight envelope. The heating system is hot water radiant. 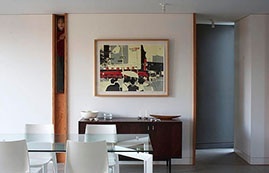 The cooling system uses high-efficiency mini-split heat pumps. On what had been a small patch of grass in Oakley, stands a comfortable and efficient home. LEED for Homes was the tool that measured the success of its ambition to be environmentally sustainable. 2007: Purchased property, 40 feet wide and 91 feet deep. Started designing. 2008: Harvested lumber from two oak trees on the site for use as trim and stairs in the future. 2012: Complete enough for occupancy. Registration required to attend - No charge for USGBC Ohio members (you can bring a guest). Non-members are asked to donate $15 per person at the door. Contact Chuck Lohre to register for the tours or be introduced to any of the owners of past and future tours, Chuck@Lohre.com, 513-260-9025. Learn more. Green Home Tours Sponsored by The Sustainable Partnership of Cincinnati - A group of businesses offering sustainable products and services to create sustainable homes and offices. Learn more at www.tspcincy.com. If you liked this article and want to learn more about the U.S. Green Building Council's Leadership in Energy and Environmental Design, see our post on "The State of LEED in Cincinnati." What's the best way to learn about Green Building? Join the local chapter of the U.S. Green Building Council.